Thanks to everyone who's been so patient with the Great Blogging Drought of 2011. It's a huge year for me in terms of writing deadlines and professional obligations, which is the only reason I've been so scarce. Believe me, if I had time to write about the rapturous Tree of Life, I would! Even I don't think a tweet is remotely sufficient. Bear with me a little longer! 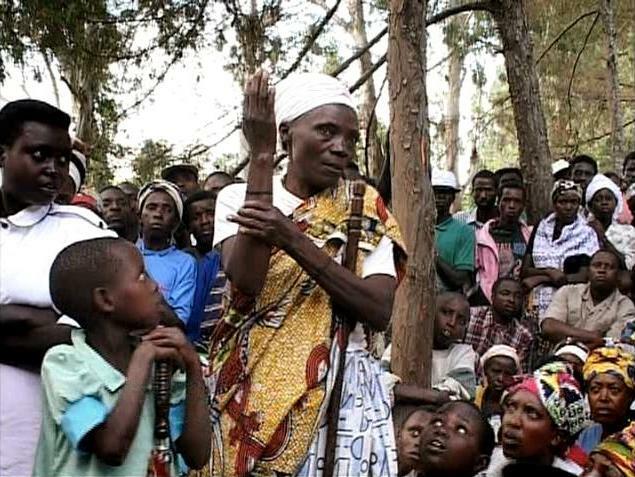 Still, some causes are too urgent to postpone, so I want to share some news from Anne Aghion, a filmmaker whose revelatory documentary My Neighbor, My Killer, about the Gacaca Trials and other local aftermaths of the 1994 Rwandan genocides, I saw at the 2009 Chicago Film Festival. I wrote a glowing review of the film, which later showed here in Chicago at Facets' Human Rights Film Festival, though it didn't get nearly the exposure it deserved. That said, two people have told me that the tip-off I provided to this extraordinary piece of work was the most valuable thing they've ever taken from my site; if you'd seen the film, you would easily recognize why they think that. I was chuffed to get an e-mail today from Aghion, whom I do not know, informing me about a historical and cultural center that she and a colleague are trying to open in Rwanda. Many of us who hear the name of that country still think immediately of genocide, although I'm happy to say that I now have a friend living in Kigali whose reports are giving such a different, richer sense of the nation. Still, even Rwandans have painfully limited access to their own audiovisual history, so Anne Aghion and Assumpta Mugiraneza are working hard to open a Media Archive called the Iriba Center that will offer Rwandans free access to footage, photographs, and documents that preserve and illuminate their cultural legacyto include, of course, the genocide, but also reaching back through an entire century of other records. 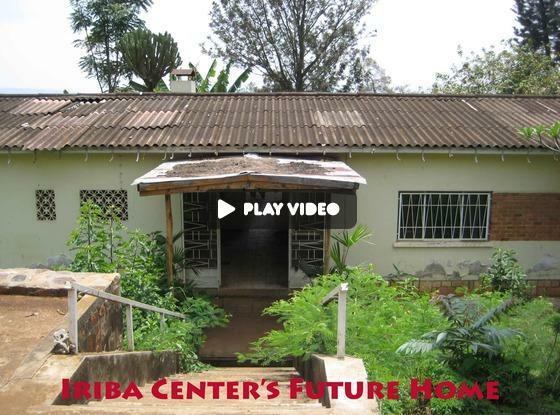 Aghion and Mugiraneza have already raised some key donations toward the amount they will need to open the center, but of course they need moreespecially since some of the promised funding is conditional upon the two women independently raising $40,000 themselves, in two months' time. Please read about this impressive project and if you can give anythingliterally, the minimum donation is $1I hope you'll consider donating. I get paid Thursday, so I am broke as a joke right now; believe me, I understand. But one latte for me is $4 that this project could really use, and if 1,000 people felt the same, that'd be 10% of the fundraising bar right there. And now that I've hit you up for money (though not for me! though I have thought about it! ), I promise to do my best not to recede backward into eerie silence. In fact, I already have a comeback project planned, so stay tuned. Think: sunshine... glamor... "the universal language of film"... and microfiche.